As projects come to a close, there’s usually a few minor details requiring your attention. 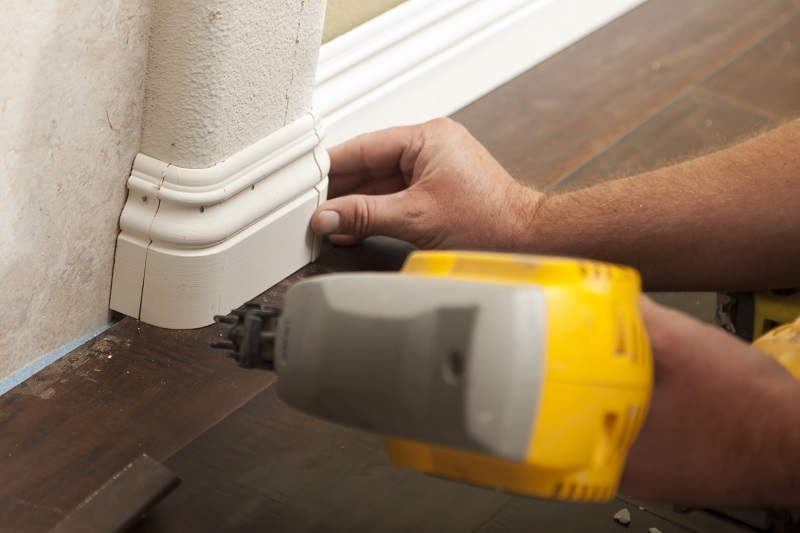 In this article, the John’s Lumber team discusses the trim and moulding solutions to put the finishing touches on any project. Many home builders and renovators use exterior trim to add dynamic visual appeal to the exterior of the home. With durability, longevity and appearance in mind, we offer our customers Kleer® brand cellular PVC, perfect for most home exterior applications. With sizes ranging from 1×4-12’ to 5/4×12-18’ we have the trim boards you need for your project. Available in both smooth and natural wood finishes, this trim can be modified for any home building project. Our currently inventory includes over 220 different moulding profiles, a real win for homeowners and builders seeking variety. This assortment is perfect for all styles of homes, making John’s Lumber the perfect solution for your interior design material needs. The four primary moulding profiles we offer are Base, Casing, Crown and Specialty. These profiles allow you to add visual appeal to rooms, adding both depth and dimension. With a variety of simple and complex designs, we stock the moulding profiles you need for your project. We work very hard to ensure you have the materials you need for your build. Although our name is John’s Lumber, we make it a point to offer much more than just lumber. Our inventory is the perfect tool for builders, contractors and homeowners, looking to diversify the styles and materials they use, all under one roof. Our website is a great resource for learning about the materials and products offered by John’s Lumber. We invite you to call our team or visit one of our two locations in Clinton Twp or Shelby Twp. to speak with us about your particular needs.